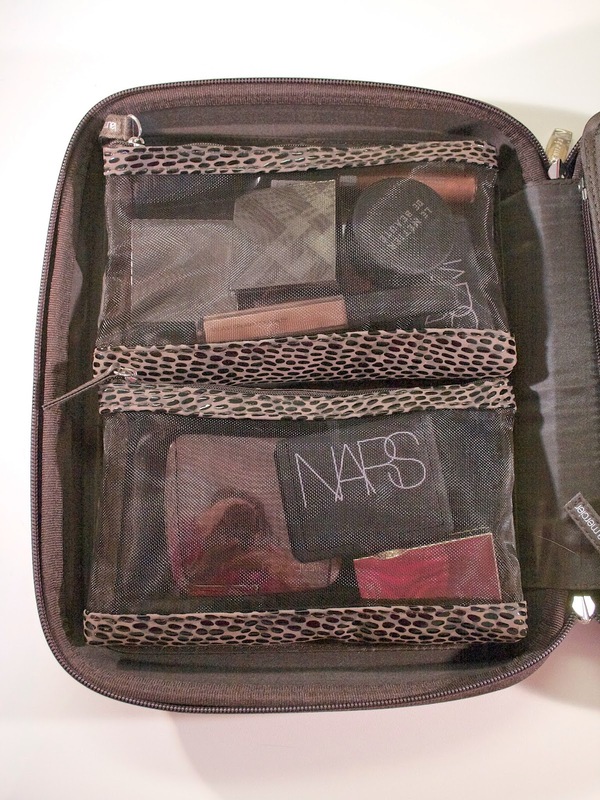 For years I've been searching for a way to organize my makeup for travel. 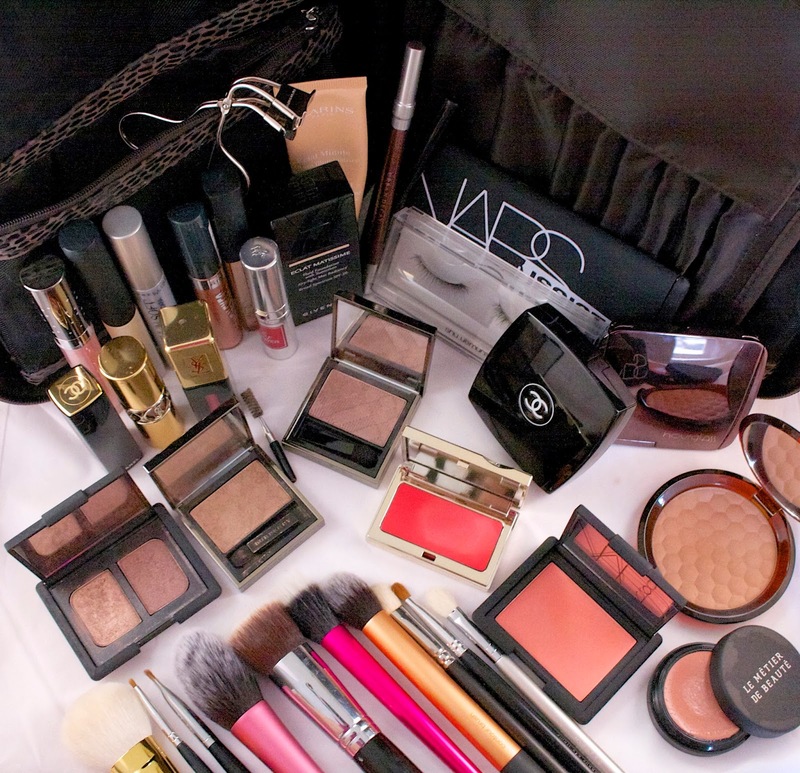 I despise the idea of a massive makeup bag where products are allowed to just cavort around, all loosey-goosey. That's how things get broken and--I'm personally convinced--that's how once pristine packaging gets dirty and grubby. This is an unsubstantiated theory, of course, but I'm sticking to my guns. Anyways, when I watched this video by Pretty Shiny Sparkly she opened my eyes to a world of organizational heaven, in the form of the Laura Mercier Custom Artist Portfolio. You all probably know about the Laura Mercier Portfolio, because apparently they release one every year. But this was brand new information for me! 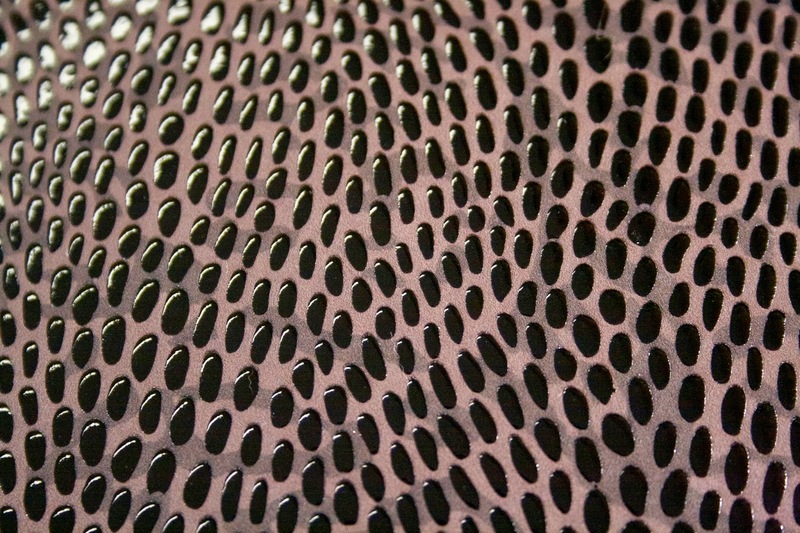 Each year the pattern is slightly different, with this year's having a bit of a brown-toned snakeskin. It contains four zip pouches of varying sizes that come with strong magnets, so they will stick inside the portfolio, but can be removed. I never thought I would geek out over a magnet (my 7th grade Science teacher would be so proud! Big up, Mrs. Strayer), but these magnets are perfect! Those pouches aren't going anywhere until you want them to! 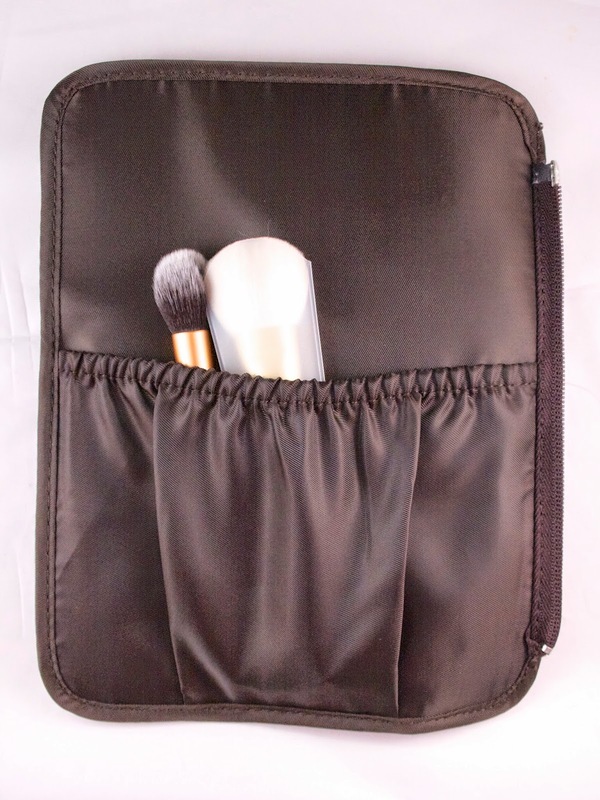 There is also a middle section that can be unzipped and removed entirely, which contains spaces for brushes on one side and an open pouch on the other. 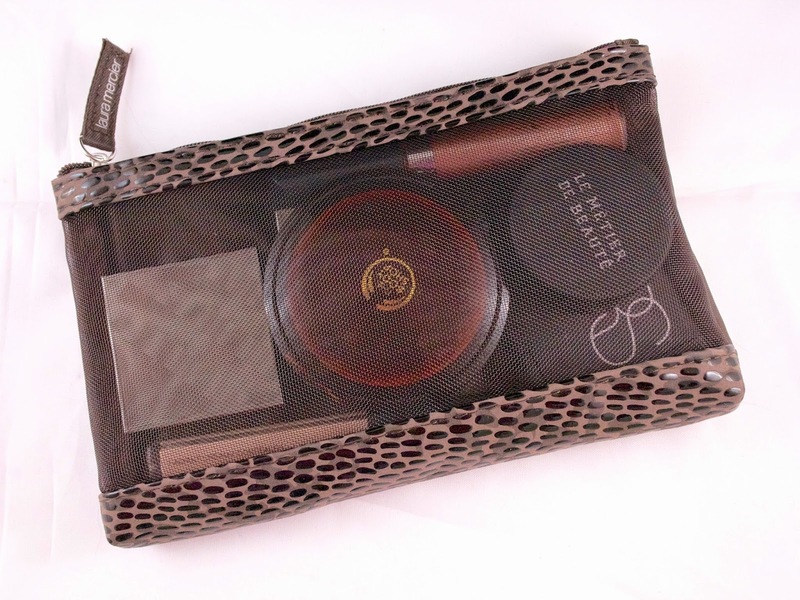 The Laura Mercier Custom Artist Portfolio is a fairly substantial investment for a makeup bag, clocking it at $98. It is available in a Petite size as well, which I've seen at a number of different Saks Off 5th locations. But although the Petite version is around $30 cheaper, it seemed just too small for my needs. I even wasn't sure if the full-sized version would be big enough for me (or if it would warrant the $98). So, I decided to place an order for it and give it a bit of a test run. 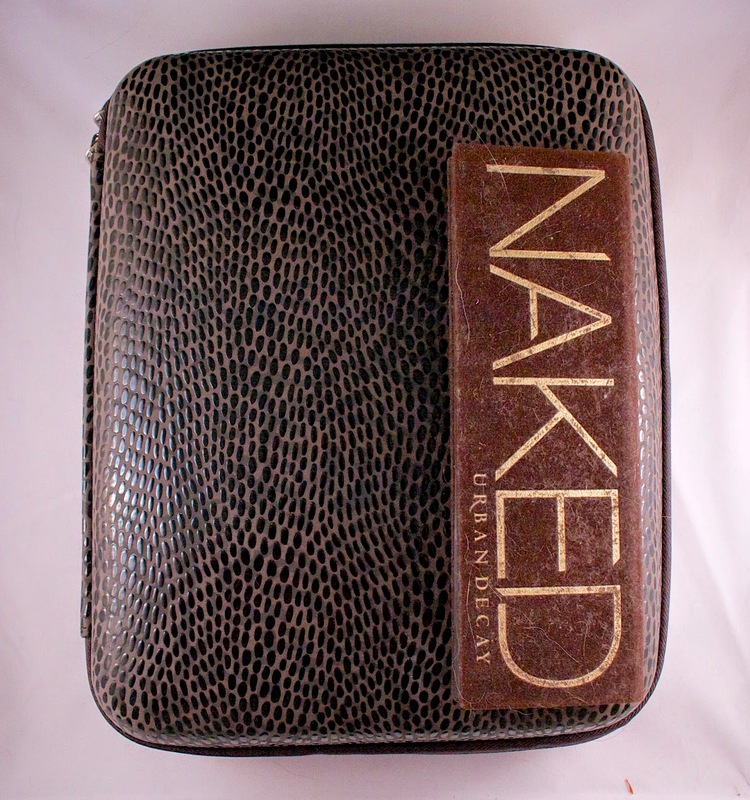 Size comparison to the most universal of all beauty products: the Naked Palette. 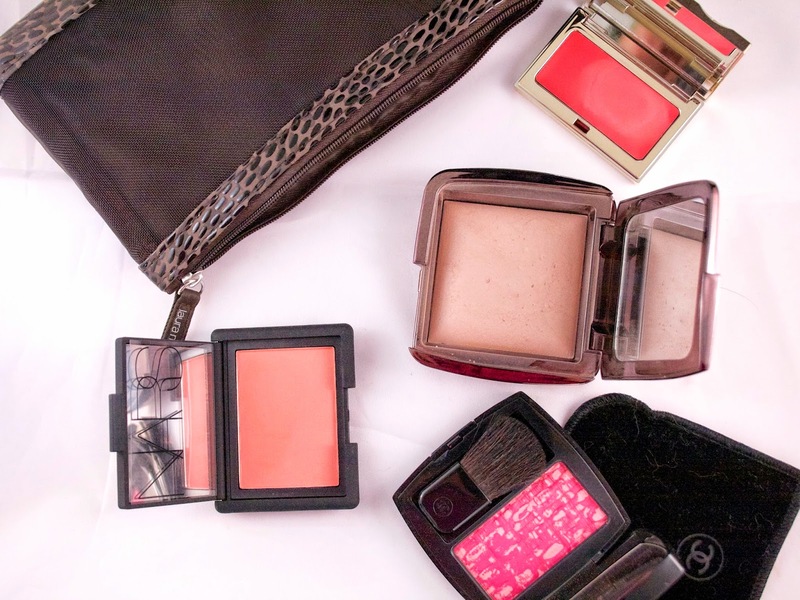 In the second of the two medium-sized pouches, I tossed in a few eyeshadows, another blush, a bronzer, and my NARS concealer. 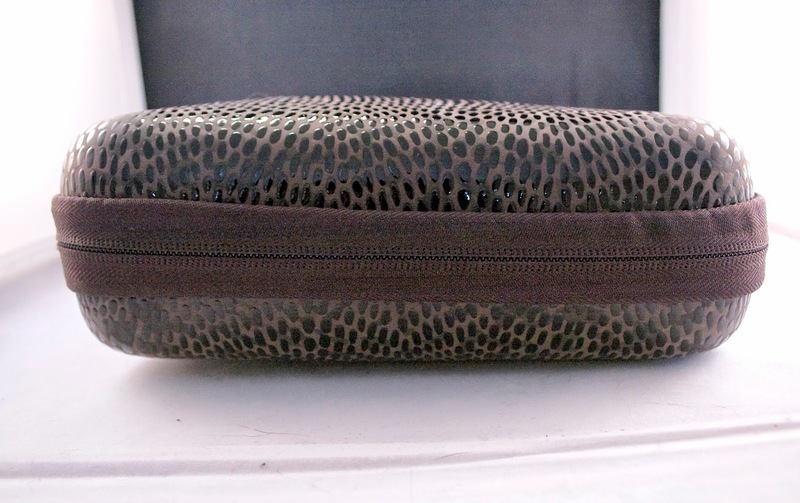 This pouch was more full than the one above, but there was still a bit of room to spare. 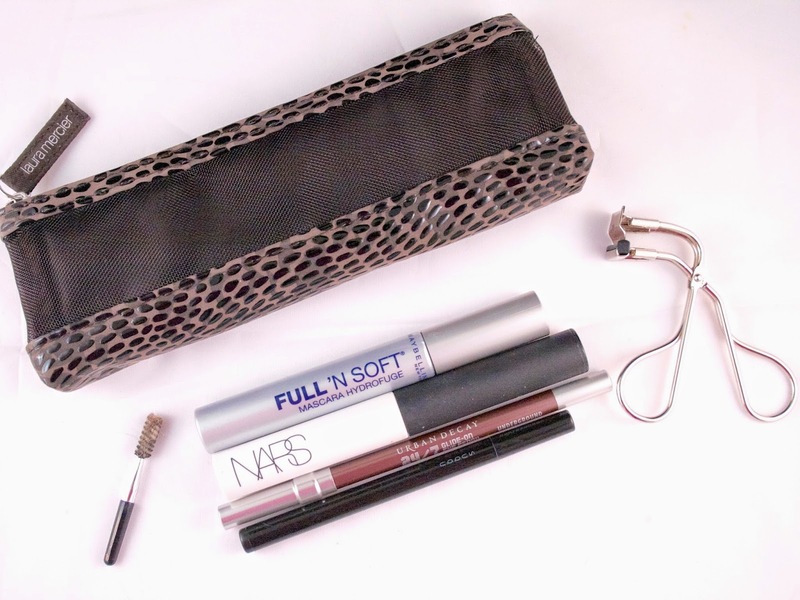 In the smallest, and therefore cutest, of the pouches the only things that would fit are long and slim items, like the mascara, eyeliner, brow pen, and eye primer that I included (along with a ratty old spoolie--don't judge!) But much to my surprise, my Shu Uemura S Curler also fit in there! 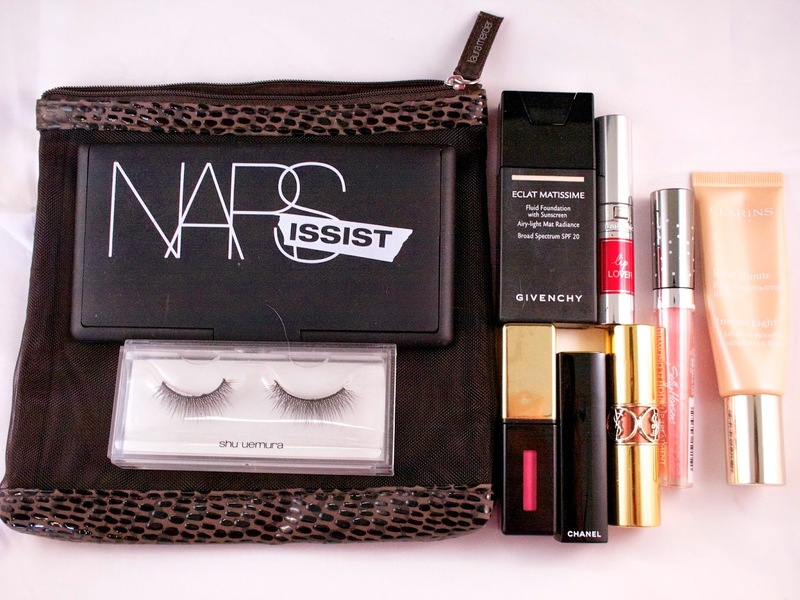 In the largest pouch I managed to fit my Narsissist palette, a pair of false lashes (because essential...aka I almost never wear false lashes, but I have high hopes), my Givenchy foundation, Clarins primer, and a potpourri of lip products. 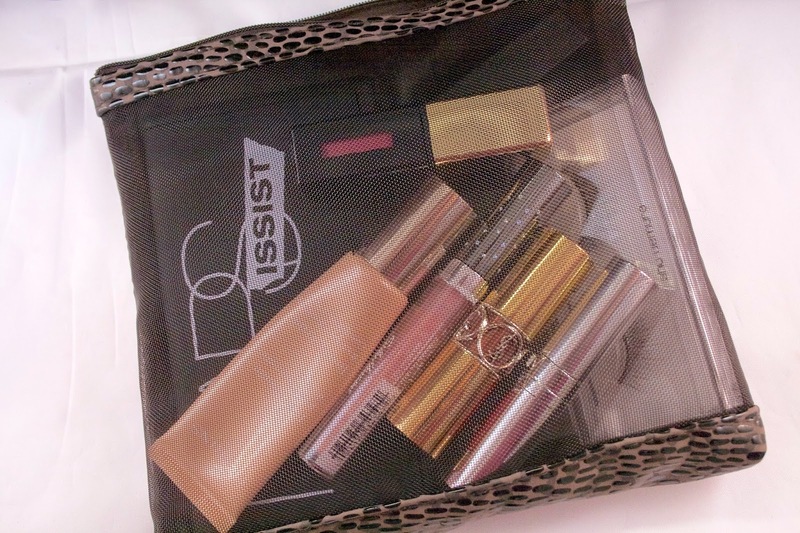 As with some of the other pouches, there was room to spare in here and I could have squeezed a couple of other things in (perhaps a blush or another eyeshadow). 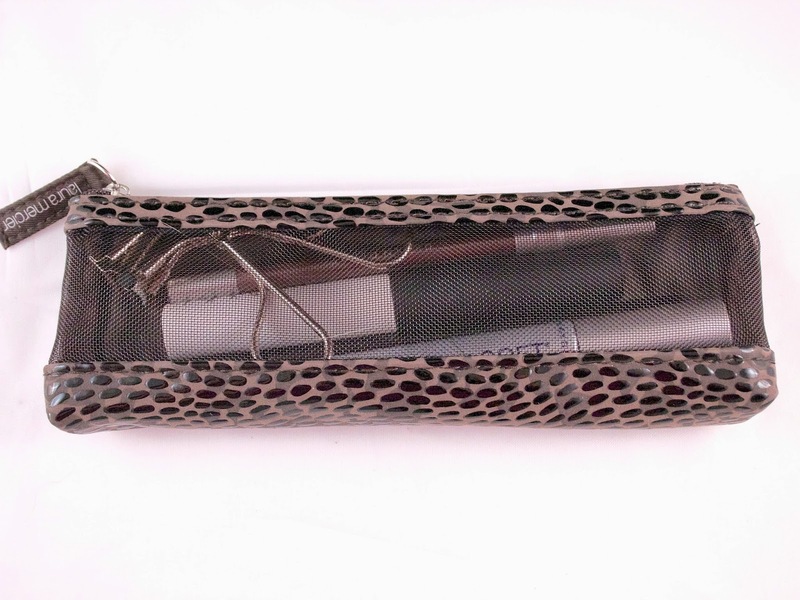 In the brush sleeve, I managed to fit 10 brushes (8 in the proper brush compartments and 2 in the back pouch). 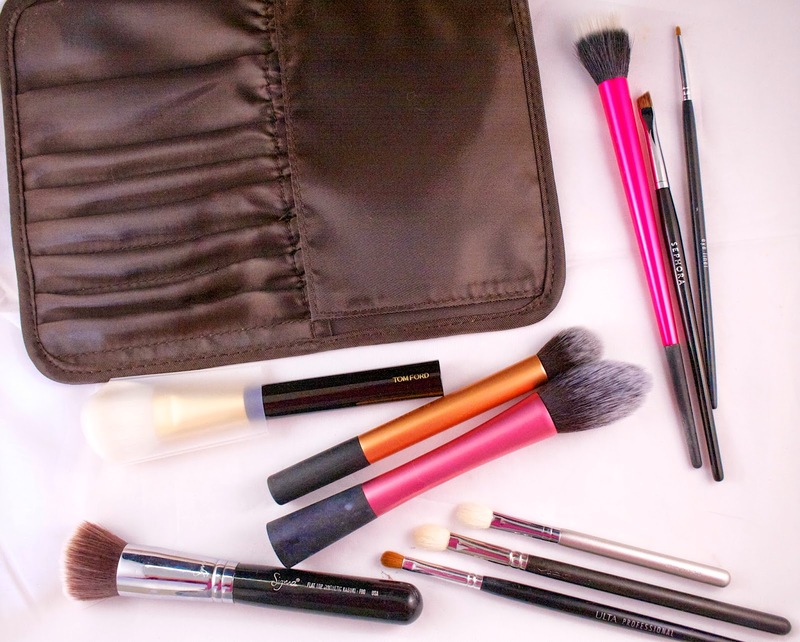 If you have a lot of thick handled brushes (such as the face brushes from Real Techniques or the Sigma F80), you might encounter some difficulties here, as there are only two 'large' brush slots. The rest are for thinner brushes. But you can always put them in the back, as I did. That feels a little less secure to me, for some reason, but it's always an option. 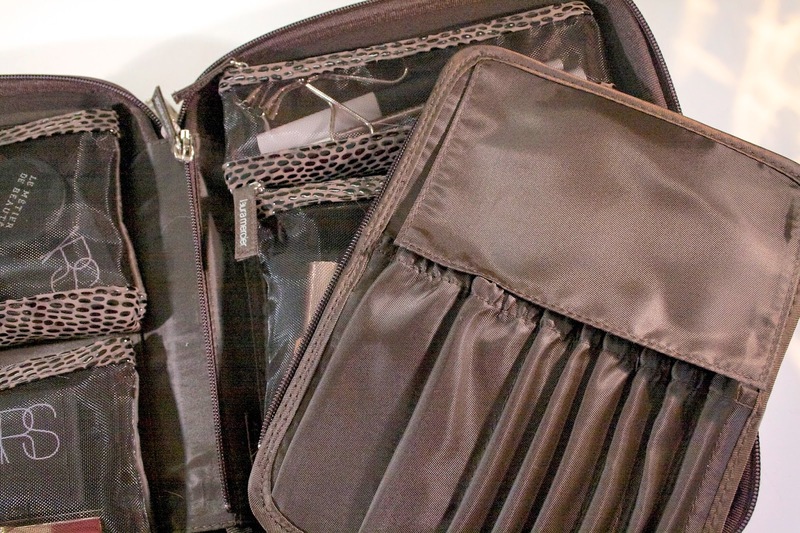 Ultimately, everything pictured below was able to fit into the Laura Mercier Portfolio, and it still easily zipped closed without me fearing for the security of the products. With that said, however, there were a few essentials that didn't make it. I didn't have any room for any serums or other skincare that I would bring with me. That's not a huge problem as I'm sure I would have a separate toiletry bag anyways, but it would have been nice. 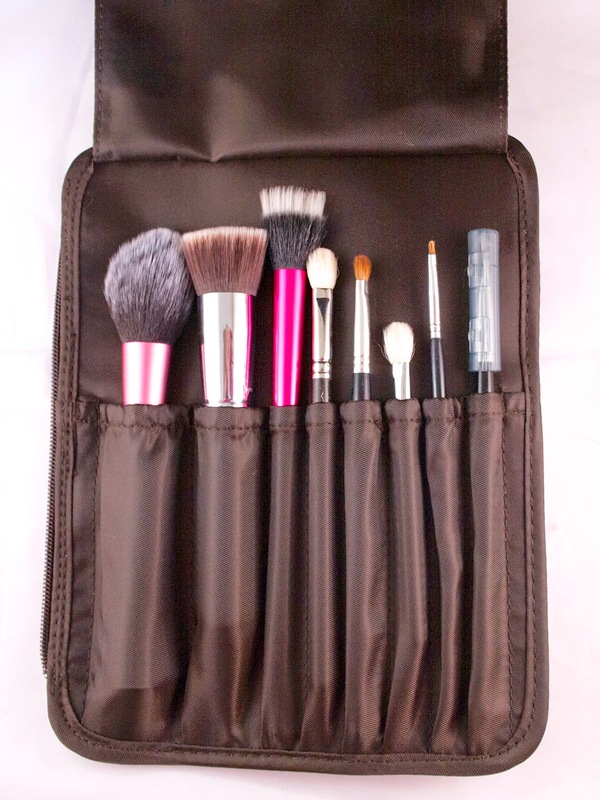 It would also be more convenient if the brush slots were arranged differently or were more accommodating to chubbier brushes! And while there was space left in the individual pouches, I wouldn't have been comfortable putting much more in the case as a whole. 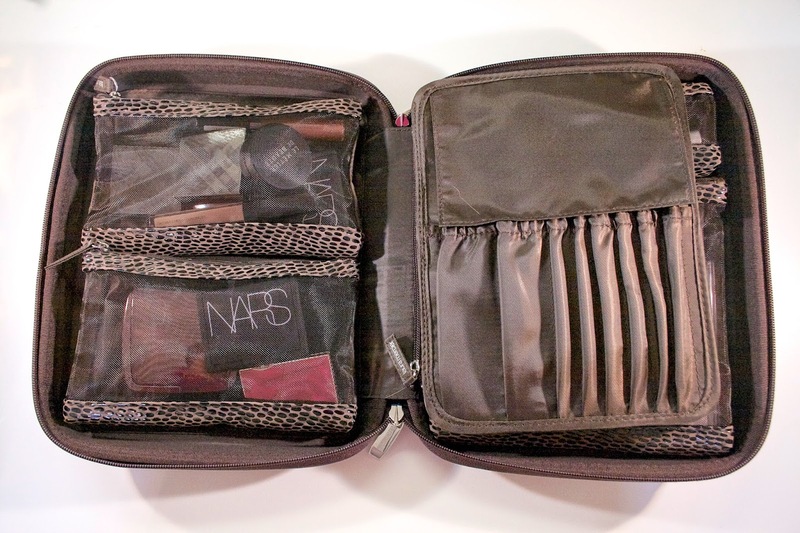 I would fear that when zipped up, the products would crush each other and that it could be vulnerable in a suitcase. So, I think the amount that I put in there is around the maximum that you'd want to have. 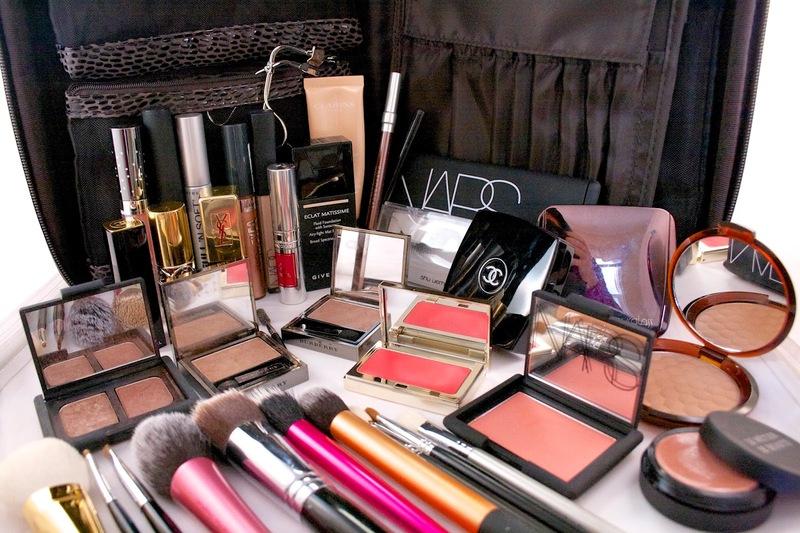 So would I advise you to spend $98 on the Laura Mercier Custom Artist Portfolio? That's a hard question. If you travel a lot and are in need of something sleek, sturdy, and relatively compact, then you should definitely consider it. If you need something sturdy and relatively compact, but don't want to throw $98 at it, you should check out this bag by Sonia Kashuk available at Target. 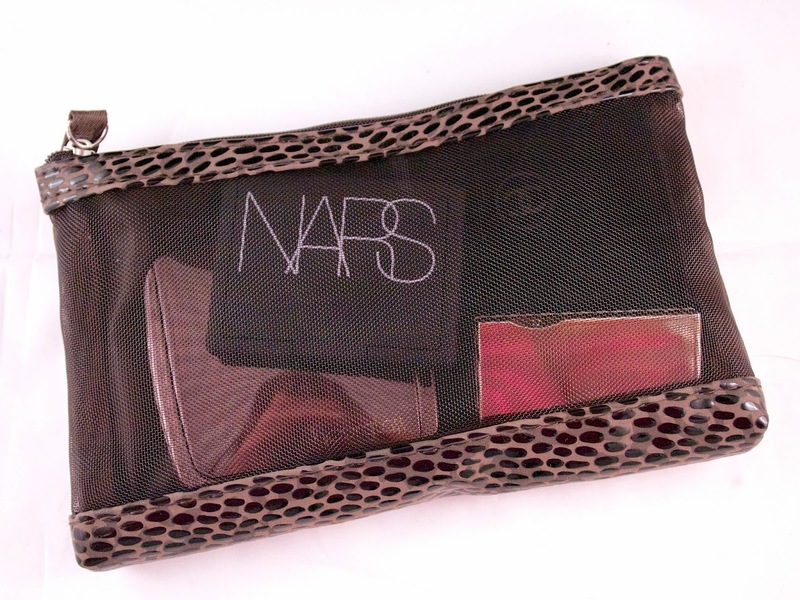 It is really the same idea as the Laura Mercier, but with velcro to hold the pouches in place instead of magnets. I've looked at it in store and proportions seem quite similar, but I can't say if they are absolutely identical. For me, part of the appeal of the Laura Mercier is that it looks so sophisticated, so I probably would avoid the Sonia Kashuk, but only for aesthetic reasons. Because I am boring like that. 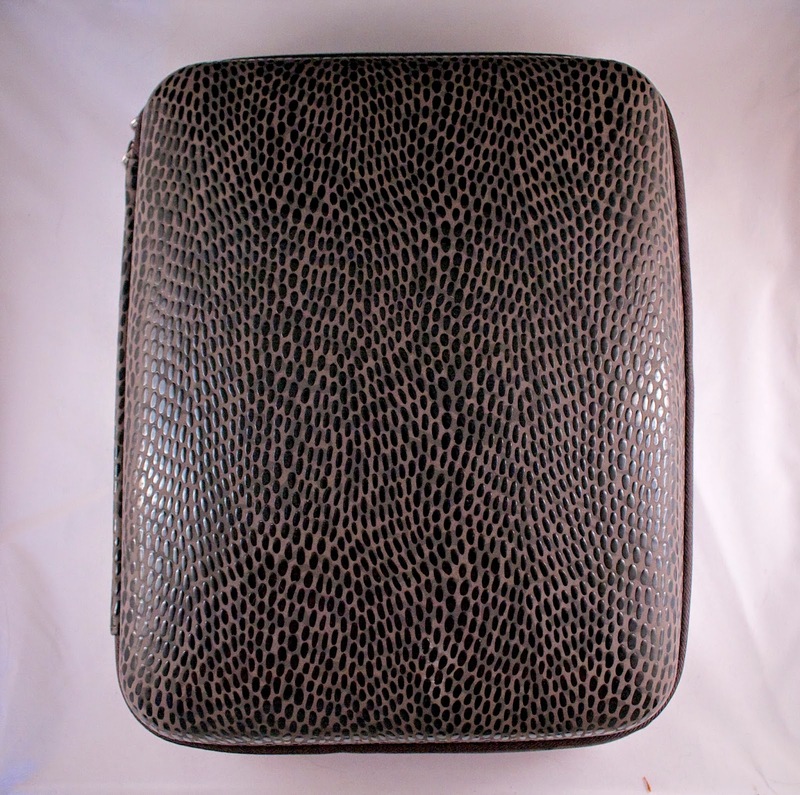 Ooooh...look at that faux snakeskin! Wait--that is supposed to be snakeskin, right? Animal identification fail. In summary: I do really like this portfolio, I just wish it were slightly different and cost less...super helpful, right? 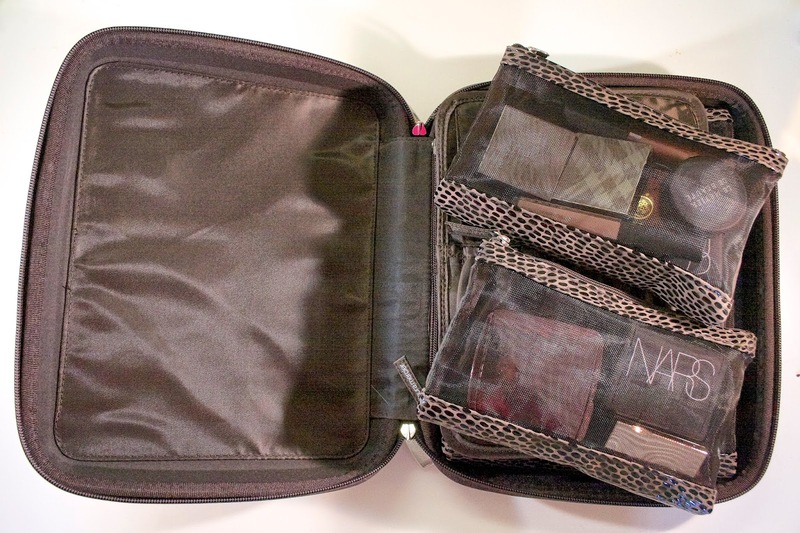 I do actually hope that this has been helpful if you are considering the Custom Artist Portfolio or are on the lookout for a travel makeup bag. Have you found any other good options out there? If you are looking to pick up the Laura Mercier Custom Artist Portfolio it is available for $98, in stock (at the time of writing) at Macy's and Nordstrom. 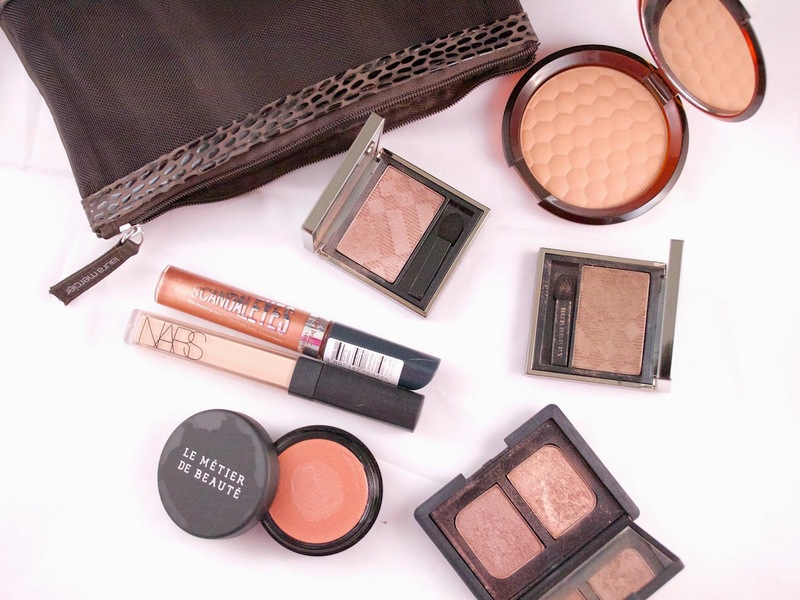 Neiman Marcus has a pricier version that contains the Portfolio plus a selection of Laura Mercier cosmetics. Follow me on Bloglovin, Twitter, and Instagram for (usually) more succinct posts, inane rambling, and pretty pictures!